Please contact us at rsvn.phye@parkhotelgroup.com to find out more about our 140 new guest rooms. Cosy up in our contemporary, well- appointed Superior Room which is elegantly furnished with stylish dark wood finishing. Floor – to – ceiling windows allow natural daylight to fill the room, creating an inviting and warm ambience. It makes for a perfect, restful stay after a day of business meetings or day out. Please contact us at rsvn.phye@parkhotelgroup.com to find out more about our Superior Room. Relax in the Superior Room with Balcony that offers scenic views of the Hangang River, as you unwind with a cup of coffee at the balcony. 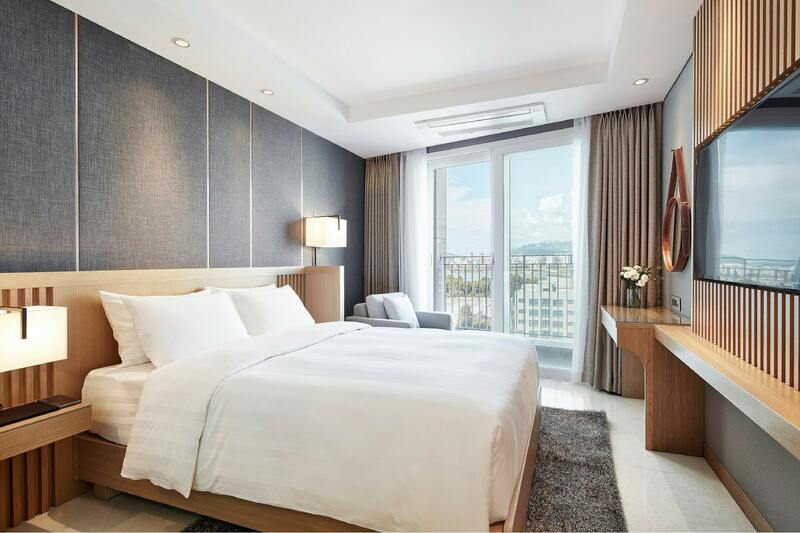 Sophisticated in design with contemporary furnishings, the room meets the guests’ needs and preferences with its well-appointed amenities, making it a perfect stay for leisure or business travellers. Please contact us at rsvn.phye@parkhotelgroup.com to find out more about our Superior Room with Balcony. Set on top floors of the hotel, admire the views overlooking the Han River from the room’s balcony. Stylishly designed in wooden furnishing, the room allows one to cosy up in the fine comforts of plush bedding or stay productive at work with the high speed internet access and contemporary amenities. Please contact us at rsvn.phye@parkhotelgroup.com to find out more about our Deluxe Room with Balcony.